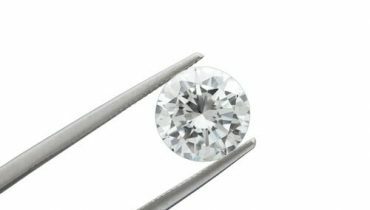 It takes approximately 250 tonnes of earth to obtain a 1 carat diamond! Only 1 diamond in a million is a weighs a carat or more. 85 per cent of diamonds mined are not suitable to be used in jewellery. Only a diamond can scratch or polish another diamond. Most diamonds are over three billion years old-some of the youngsters are 100 million years old! Most diamonds are formed more than 100 miles beneath the earth’s surface. At one time diamond colours were referred to only as A and B. As cutting equipment got better and it became easier to grade diamonds the range was expanded. In order to avoid any confusion with the old scale colours were started with D being the best are running all the way to Z. We hope you enjoy some of these facts!